Allaying fears of more than 25,000 homebuyers, Insolvency and Bankruptcy Board of India (IBBI) Chairperson M.S. Sahoo has said all voting related obstacles in Japyee Infratech's resolution have been removed. "We have addressed the voting issue... it appears to me that not all 25,000 people have joined the Committee of Creditors (CoC); only 10,000 have joined. You have to count voting for 10,000 only. The Electoral College is 10,000," Sahoo told IANS in an interview. Though the amended Insolvency and Bankruptcy Code (IBC) treats homebuyers as financial creditors and thus a part of the CoC that takes all crucial decisions, including deciding the new owner for crisis-hit Jaypee Infratech, the law mandated that those who abstained from voting will be treated as a negative vote. Homebuyers, who have a claim of about Rs 16,000 crore, or 62.3 per cent in the overall claims of about Rs 26,000 crore on the real estate developer, are apprehensive that the clause on negative vote will make it impossible to meet the requirement of 66 per cent affirmative votes for any resolution, as many have not filed their claims. Several thousand homebuyers have not cared to file their claims for various reasons, including low stakes, suspect ownership or bought from undisclosed resources, and their votes can be taken as negative votes for any resolution. "You must have gone through a process to form the CoC. Have all 25,000 come, I am told 'No'. Only 10,000 have come, they have the voting rights, others don't... A person, who is not a member of the CoC, cannot be regarded as one who has voted against a resolution plan or abstained from voting," Saboo said, citing a circular of September 14. Further, Sahoo said homebuyers were not being called from all over the country to assemble in a hall on a particular date to cast their vote but have been asked for their views through online voting. As for the concern related to the voting line being open for a very short period with a short notice, he said, "Voting line is available for 12 hours and the notice period is 24 hours. This is the least (as per rules). The committee of creditors can decide longer time (intervals for both the notice period and voting window). "Further, this (24 hours) is just for the announcement of voting hours, but not for the agenda, which has been sent much earlier. This way all 100 per cent of registered homebuyers can vote," he said. On the resolution processes getting delayed due to frivolous cases filed in various courts, including the bankruptcy court, Sahoo said: "I have no view on this; it is for the courts to take the view whether they would entertain a matter or not. When a new law has come in, people need clarity. For the first time, things are happening. "Our effort is to put everything into timelines. The timelines for CIRP (Corporate Insolvency Resolution Process) regulation were specified on July 4, 2018. For each activity, now there is a timeline. You will have to allow six months to see how it is working," he said. 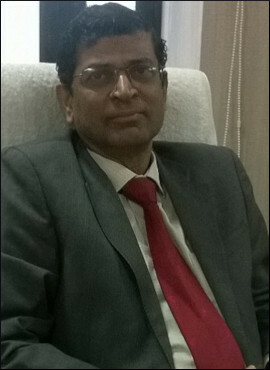 Though IBC is not a recovery law, Sahoo said if things go on forever, one should move towards liquidation. "Don't keep on lingering something. This is timebound, let's do it in timebound (manner), let's conclude it and if you think it cannot be done, then move on in life (go for liquidation)," he said. On cross-border issues, he said the discussion paper has been broadly endorsed by the Insolvency Law Committee and once it submits the report, the government will take a call. It will be similar to the international cross-border rules laid out in United Nations Commission on International Trade Law (UNCITRAL). "We are making some minor modifications here and there but within its (UNCITRAL) wider framework. We are adopting UNCITRAL so that it becomes a multi-lateral understanding. About 40 countries are already a party to this," he said. He said there was no development in framing group insolvency norms.